For years Absolute Classics has been bringing the best in classical music to the rural region of Dumfries and Galloway and this year is no different! We look forward to welcoming you to this year’s festival from Friday 2nd to Sunday 11th of August. Opening the 2019 Festival on Friday 2nd of August is the multi-award-winning Sacconi Quartet, who will be making their debut at the Theatre Royal, Dumfries. Their programme ‘In the Dark’ will start with Haydn and Schubert followed by Beethoven Op. 131. Performing with style and commitment, the Quartet is known throughout the world for its creativity and integrity of interpretation. Italian Tenor, Adriano Graziani joins us on Saturday 3rd August, also at the Theatre Royal. After making his debut with Scottish Opera this internationally renowned singer has had success at the Royal Opera House, Covent Garden, Welsh National Opera and Glyndebourne. Accompanying Adriano in an evening of Italian Arias will be pianist, Phillip Thomas. ‘Dreaming’ is the theme of Russian pianist, Oxana Shevchenko’s afternoon recital at the Buccleuch & Queensberry Arms Hotel in Thornhill on Sunday 4th August at 2:30pm. After winning the Scottish International Piano Competition Shevchenko’s performances have achieved critical acclaim. She is recognised as a pianist of outstanding artistry, sensibility, and versatility. Another newcomer to Dumfries and Galloway, violinist, Alexey Osipov will present an evening of Prokofiev and Ravel, finishing with Carmen’s Fantasy arranged by Waxman – a truly spectacular piece fit for this young virtuoso. Joining him on the stage at the Theatre Royal on Monday 5th August will be Oxana Shevchenko. Wednesday 7th August brings together the specially formed Ulysses Trio. Alexey Osipov, violin; Oxana Shevchenko, piano; and Christoph Croisé, cello, will perform Brahms Trio in B Major and Tchaikovsky’s mighty piano trio in A minor. One not to be missed! Director, Alex McQuiston & Pianist, Oxana Shevchenko introducing the 2019 Absolute Classics Festival. After making his debut at Carnegie Hall at the age of 17, Swiss French cellist, Christoph Croisé has been laureate and first prizewinner of many international competitions the world over. His international career includes performances at the Tonhalle, Zurich and the Berliner Philharmonie. Croisé’s elegant programme of Chopin, Shumann and Stravinsky is set to nourish the soul. Sharing the platform for this performance on Thursday 8th August at the Theatre Royal will be pianist Oxana Shevchenko. It’s always nice to see a familiar face and the Ferio Saxophone Quartet are exactly that. Lead by Huw Wiggin, the ensemble will be joined this year by pianist, Timothy End. The concert takes place at the Theatre Royal 7:30pm Friday 9th August, with a world premiere performance of local composer, Fraser Clarke’s ‘quartet for saxophone’. Sponsored by BDS this is a very exciting first for Absolute Classics and we are thrilled that a local young composer is being featured in this year’s festival. We are delighted to invite several local Dumfries and Galloway young musicians to perform as part of our 5th anniversary Festival. This special event will take place at the Buccleuch and Queensberry Arms Hotel, Thornhill 2:30 on Saturday 10th August. The performers and programme will be announced on our social media streams so please check online for details coming soon. Acclaimed as one of the great pianists of our time, it is with great pleasure that we will welcome pianist, Peter Donohoe. He shot to fame after his success in the International Tchaikovsky Competition and he is guaranteed to dazzle the audience at the Theatre Royal on Saturday 10th August at 7:30pm. In high demand worldwide, Donohoe has confirmed his status as a pianist, known for his for his musicianship, stylistic versatility and commanding technique. His programme features works by Mozart, Haydn & Tchaikovsky. 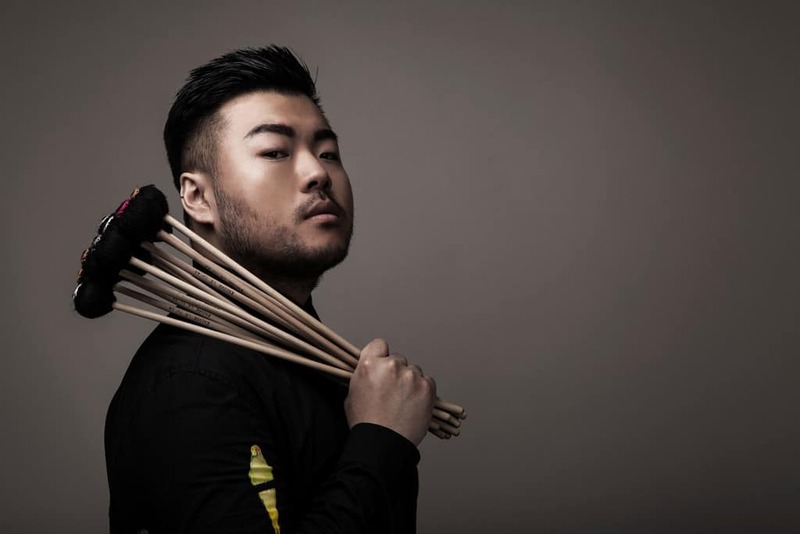 Closing the 2019 Absolute Classics Festival is celebrated percussionist, Le Yu. His afternoon concert takes place at the Theatre Royal, Dumfries on 11 August, at 2:30pm. Le is a Yamaha Artist, Sabian Artist and a Signature Artist of Encore Mallet. Inc. Currently Le is an International Tutor in Marimba at the Royal Northern College of Music, and Solo Percussion and Marimba Tutor at Chetham’s School of Music. He is also a Visiting Professor of Xi’an and Shenyang Conservatory in China. Alongside the professional concerts, Absolute Classics works throughout Dumfries & Galloway to bring new, exciting and innovative educational opportunities for local young people. The Festival programme includes a series of one-to-one masterclasses with the visiting performers for our local young musicians. These masterclasses and all the concerts are free of charge for everyone under 26 years of age and resident in Dumfries & Galloway. We would like to take this opportunity to thank its patrons, partners, venues and supporters who help to make this possible. Special thanks go to BDS, Savills, The Holywood Trust, The Robertson Trust, DG Unlimited, Dumfries & Galloway Council and Blüthner Pianos.